Professional label printers & consumables for all of your industrial applications! 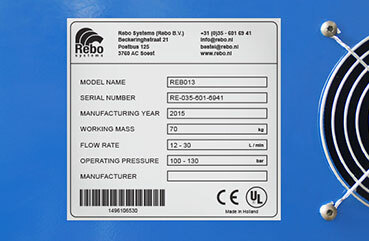 Rebo Systems are all designed to be hard wearing and up to the demands and conditions of Industrial and Technical environments. Our floor marking is designed for harsh conditions in factories and logistics companies but also work perfectly with workplace design and 5S LEAN projects. 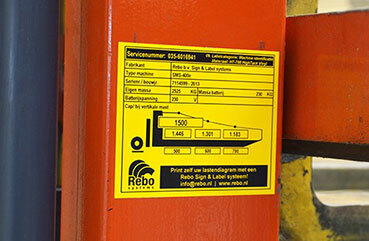 Rebo provides a complete package of safety signs. 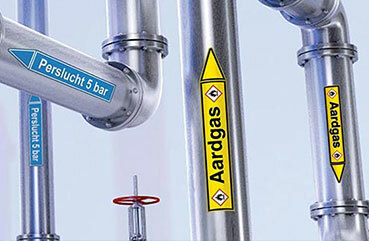 In our catalog you will find a wide range of readymade signs, pipe markings, safety labels and much more. 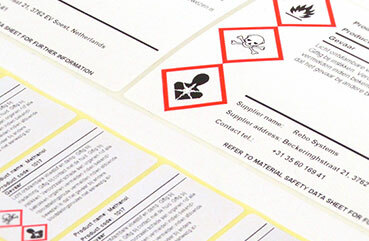 Print your own durable GHS labels easily by using our unique GHS label software. Create your own inspection labels with your custom logo and details or let us do it! 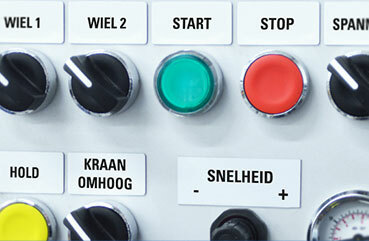 Print your own machine plates, according to your specifications and legislations. 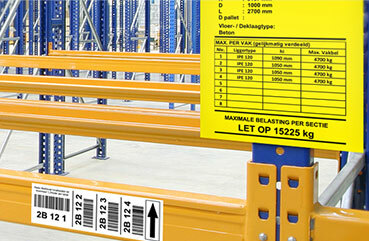 When it comes to warehouse labelling, each situation is unique and requires a specific approach. 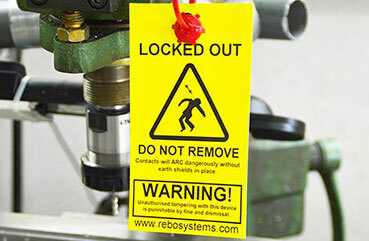 Our materials are designed to give immediate improvements to your Lock-Out / Tag-Out programmes. 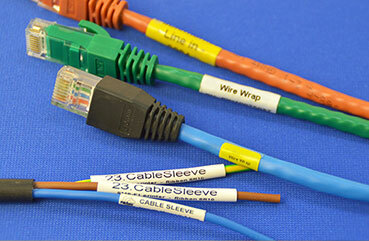 We will move you into a modern method of marking that replaces old, engraved plastic solutions. 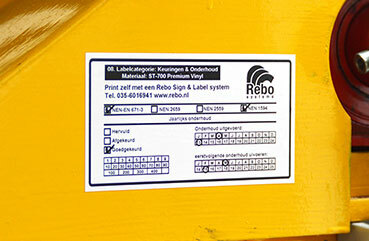 Print your professional ID labels, for machine and product identification purposes. Print your own pipe marking efficiently by using our exclusive pipe marking software. Please fill in your details below and select your desired sample label(s). 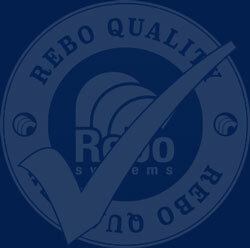 Rebo Systems is established in 1976 and has a loyal, knowledgeable and time served staff group. We are widely recognized in Europe as a leading manufacturer and supplier of specialist, industrial sign and labelling systems.